Ukraineb2b. Business in Ukraine: The remaining 100 days before the European Football Championship 2012! The remaining 100 days before the European Football Championship 2012! Ukraine is a hospitable state. This year it takes a football championship Euro-2012. This event marked the right way to achieve Ukrainian European standards of living. Conducting championship leads to significant changes in the country. For Euro 2012 in Ukraine completed the construction of high quality sporting and social infrastructure. Conducting championship in Ukraine - is a powerful stimulus for social and cultural development. 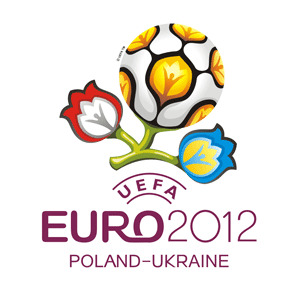 Impose on Ukrainian Euro 2012 very high expectations. It is an object of national pride. Such a feeling shared by both the public and politicians, it is nice to note that Ukraine has no opposition to the tournament. On the contrary, successful organization championship became Ukrainian national idea. -What are built for Euro 2012? 9 new hotels and more than 40 waiting to be opened in May 2012, and others. - What qualities have Ukraine in order to make Euro 2012 success? Ukraine - a large European country with nearly 50 million people who wants to successfully implement this project. For this is the inspiration Ukrainian and high motivation. The greatest potential is people, who make great efforts to successfully organize the largest on the continent football feast, after which the world for a long time would be delighted with our country. This confirms the great interest in the work of a volunteer. Prior to the tournament two years, and pilot projects show that today wanting to volunteer much more than in previous European Championships! Such public support is key to real success.